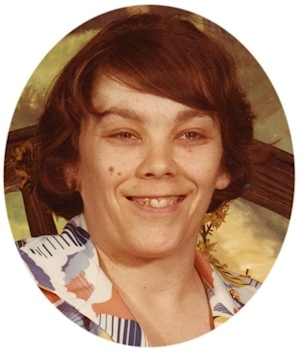 Obituary – Frazier, Gloria Jean « Perry High School Alumni Association, Inc.
Gloria Jean Frazier, 66, of Perry, Oklahoma, was the daughter of Marshall and Sindy Alice Buffington Frazier Sr. She was born on November 9, 1944 in Vinita, Oklahoma and died on Thursday, October 6, 2011 at Grace Living Center in Oklahoma City, Oklahoma. 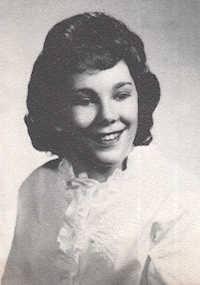 She graduated from Pioneer High School in 1963. She worked at Charles Machine Works and retired in 2000. Gloria enjoyed collecting dolls and watching wrestling when she was not traveling or shopping. Cooking Sunday dinner for her family and friends was one of her favorite things to do. She will be remembered as loving sister, aunt and great-aunt. Funeral services will be 11:00 a.m. Monday, October 10, 2011 at BrownDugger Funeral Home Chapel. Brother Aaron Summers will officiate. Interment will be in Grace Hill Cemetery. Services are under the direction of BrownDugger Funeral Home. Memorials may be made to the America Diabetes Association in care of BrownDugger Funeral Home, 1010 N. 7th Street, Perry, Oklahoma 73077. Gloria is survived by two brothers, Marshall Frazier and his wife, Sandra of Lahoma, Oklahoma and Jerry Frazier and his wife, Gwen of Denison, Texas five nieces, Kimberly Gullatt and her husband, Phillip of Oklahoma City, Oklahoma, Penny Larsen and her husband, Derek of San Angelo, Texas, Katrina Sandifer and her husband, John, Saje Frazier, Noelle Frazier all of Moore, Oklahoma seven greatnieces and nephews. She was preceded in death by her parents, her maternal grandparents and her paternal grandparents.